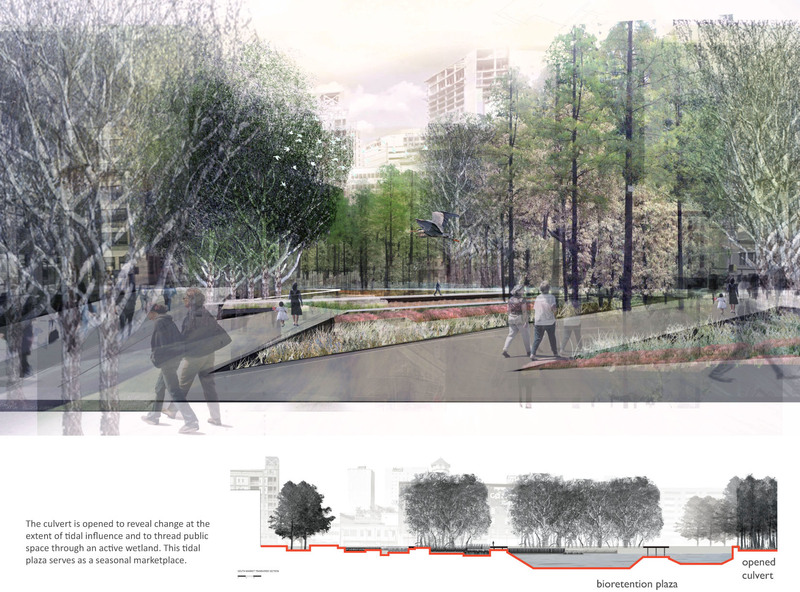 ParadoXcity studio Baltimore project of Susanne Matthew and Maggie Hansen wins international student design award at ASLA in San Diego. Baltimore Water Works utilizes the unique resilience of river delta ecosystems to create a hybridized landscape infrastructure that unites ecological health with urban vitality. This adaptive framework, designed for Baltimore’s Jones Falls River corridor, employs the functional river ecology to reinvigorate abandoned and economically depressed areas within the city’s core, and to create a model for stability that allows urban density to both contract and expand.